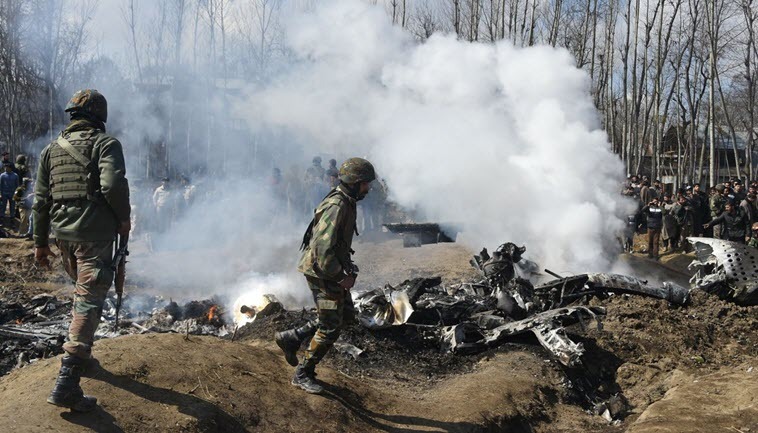 After Islamabad handed back a captured Indian pilot on Friday, a flare up between arch-foes India and Pakistan appeared to be easing, but tensions continues to simmer amid efforts by global powers to prevent a war between the nuclear-armed neighbors, Reuters reported. Abhinandan Varthaman, wing Commander, who became the face and symbol of the biggest clash between India and Pakistan in many years, walked across the border just before 9 p.m. (1600 GMT) on Friday in a high-profile handover shown on live television. Shelling on both sides of the Line of Control (LoC) that acts as a de facto border in the disputed Kashmir region continued after his release, resulting in four deaths, but then stopped overnight, officials said. Pakistan’s military on Saturday said its air force and navy “continue to be alert and vigilant”. Global powers, including China and the United States, have urged restraint to prevent another conflict between the neighbors who have fought three wars since independence from Britain in 1947. Pakistani leaders say the ball is now in India’s court to de-escalate the tensions, though Pakistani army chief on Friday told top military leaders of the United States, Britain and Australia that his country would “surely respond to any aggression in self-defense”. “The way situation is developing along the LoC makes me feel that both sides may collide head-on anytime now,” said Chaudhry Jahangir, a Pakistani resident of the Samahni sector in Kashmir.